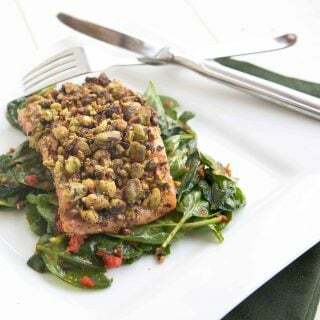 This Matcha Green Tea Salmon is so flavorful and moist, your guests will beg you for the recipe. 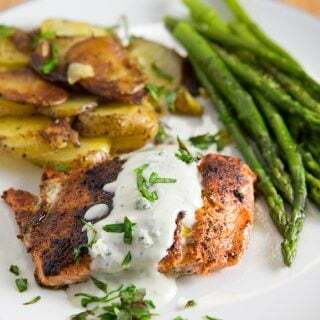 This easy to make restaurant-style dish is a keeper and will have you cooking salmon on a regular basis. Try my Matcha Green Tea Salmon. It will be a hit at your next dinner party, or a delicious date night dinner. One of the things I try to remind my students on a regular basis is that cooking is not Rocket Science, you just need to learn to use what you have on hand to create simple delicious meals. That’s how I use to do it my restaurants, learning to use the same ingredients in as many different ways is a very efficient and cost-effective way to run a restaurant, and with prices the way they are, the home cook has to be every bit as inventive and creative with the ingredients they can find and that fit into their budget. Of Course, to break the monotony there should always be times that you think outside the box, purchasing items that you normally wouldn’t, with specific meals planned out using those ingredients. But in everyday business, you look around at what you have and you think about what you’ve seen, eaten or already made and how you can adapt that dish to make it into a meal that people will talk about for days to come. That’s always the challenge when coming up with your new menu items, and that holds true whether you’re at a restaurant, or at home cooking for your family. So the lesson is, don’t be limited by what should be, instead, think about what could be. I have seen green tea used in so many different dishes across the blogosphere, as many of my talented friends used this lovely tea in cakes and cookies…..why wouldn’t it work with Salmon? So I decided to create this oh so flavorful matcha green tea salmon recipe. Some flavors need to stand out just a bit, and balancing all the flavors so you don’t lose them in the process is the goal. If you like salmon, you’re going love my matcha green tea salmon, trust me on this one. I don’t like salmon and have tried disguising it one way or another for most of my career, hoping that one day I would learn to love it, well it never happened, but when I tasted this salmon, something strange happened……I enjoyed it…..who knew? in a food processor combine the crackers, herbs de Provence, matcha green tea, and parsley and pulse until mixture is well blended. 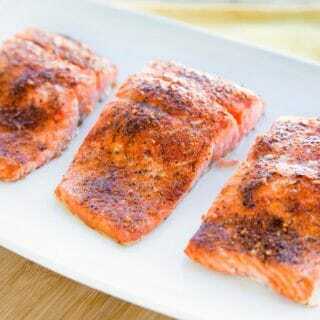 place salmon in baking dish, and add a little water to the pan so it does not dry out in the oven. 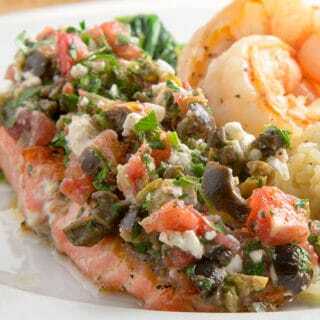 drizzle a little olive oil over the topping and place the salmon in the preheated oven for about 18-20 minutes. remove from oven , cut portion in half and serve with your favorite sides. *be careful not to use too much honey, use just enough to help the cracker mixture stick. You do not want the salmon to be sweet. I love this idea and I gotta say that I share your aversion to salmon and I only occasionally enjoy it. The combination of butter cookies and matcha with a spark of parsely and herbs plus the fortuitous packed-on crust just seems perfect. I’m inspired! I always think your students are so fortunate to learn from you. Love how the crust sealed in the salmon so it came out so moist. Green tea and salmon! Who would think to put these two together? Yet looks so delicious. Bet it tastes good too! 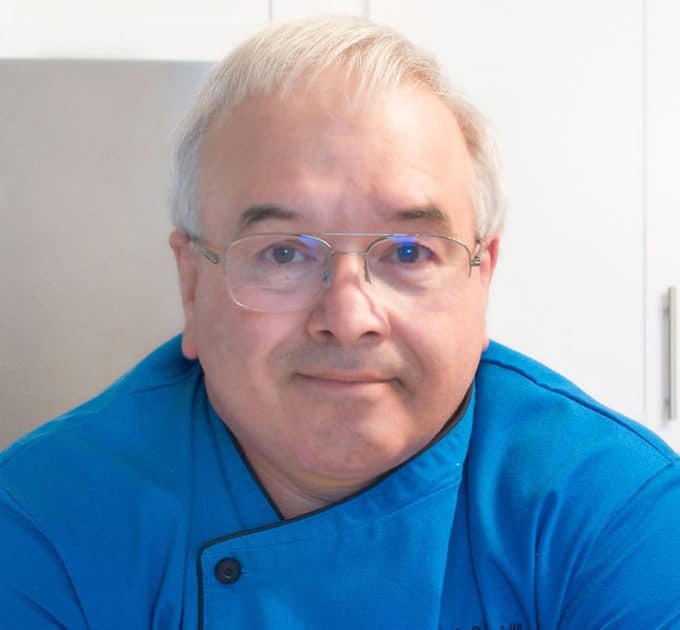 Chef Dennis, your love of cooking and teaching came out so superbly in this post. Your students are learning more than just how to cook. I would have never thought about pairing matcha with salmon! This looks excellent, Chef! Never in my life have I heard of macha salmon but I really admire you for trying this! The salmon looks and sounds incredible! I agree with Mike those words really have meaning for me. What an amazing and unusual flavor combination! This recipe is absolutely amazing. As always, I am impressed chef. I agree, with the prices, skyrocketing, we really have to be very resourceful and creative. Thanks for the post! i love macha! i have never had it in a savory dish, your usage here is genius! mm the pictures. mouthwatering. I really like this application for it. Cooking may not be rocket science, but a good cook/ chef has to pretty darn smart! What an interesting recipe! It sounds delicious!! You know I don’t eat seafood Dennis, but this does look amazing. I’ll be sure to include this one in a future round-up. Great post! 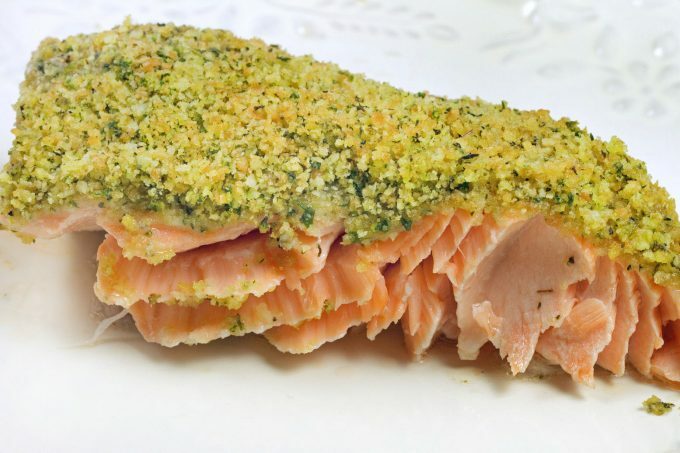 We love salmon at home & I have cooked/baked with matcha green tea but have never combined both this way. Glad you came up with this recipe. Must try this. Thanks for sharing, Chef Dennis. Happy Mon.! This salmon sounds heavenly. Creative thinker! I think what you performed this evening is called improvisation. Looks delicious! 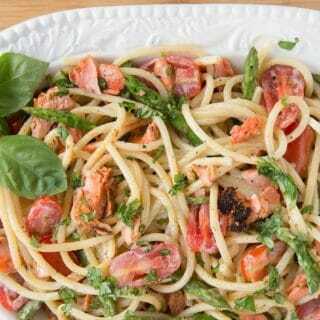 Wow what a refreshing way to have salmon. 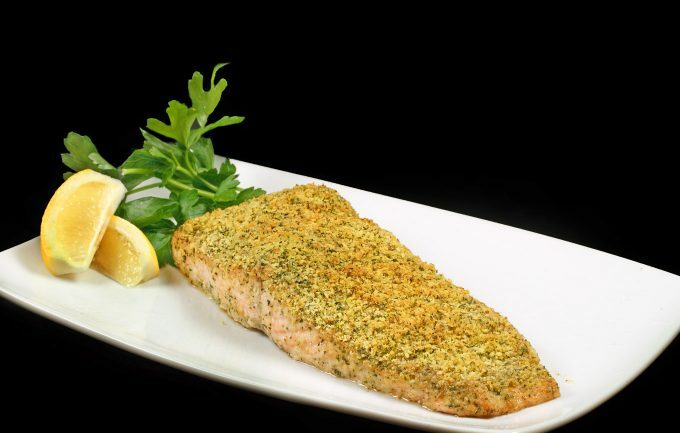 I used green tea too in one of my salmon recipes but not as a crust or rub. Love it! I wish I had saw this post 2 hours earlier when I put my salmon in the oven, as good as it was your way sounds more interesting! I still haven’t jumped on the matcha bandwagon but I’m dying to try it! 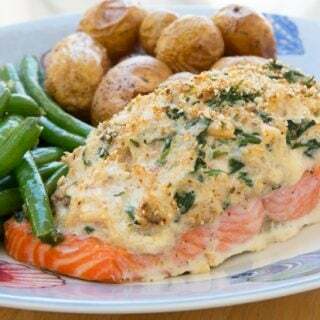 This salmon looks fabulous!